Since the 1970s, artists Mónica Mayer and Magali Lara have been recognized as two of the most groundbreaking and daring figures in Mexican art. While they each take their own distinct ideological and stylistic approach, their work often confronts issues of feminism and the female body while critiquing the sociopolitical contexts in which they are located. 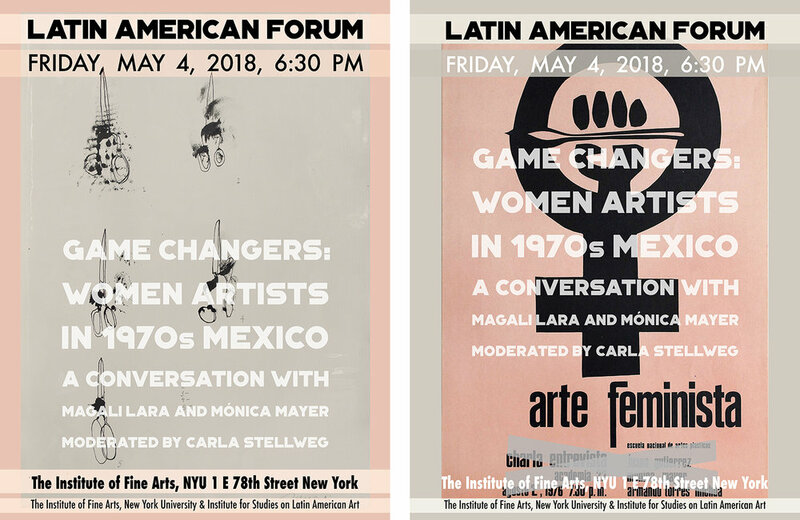 Mónica and Magali will be joined by renowned art historian and critic Carla Stellweg, a pioneer promoter and facilitator of Latin American art. We are incredibly pleased to have these three—who have worked together on numerous occasions—at the center of this spring’s Latin American Forum.